It was such a “wow” moment when Peter Pan/Bonanza bus first introduced wifi service on their buses around 2010, and it was also quite glitchy. Now in 2015 I’m enjoying it without a second thought, and an expectation that it will be smooth! The computer distracts me from the extremely familiar sights along this Boston —> Martha’s Vineyard bus ride. I was trying to determine in my head how many times I’ve taken this bus ride in my life, and would go for somewhere between 50 and 100, not as much as I might expect, but if you add in private car trips of that same route, the number might go into the thousands. 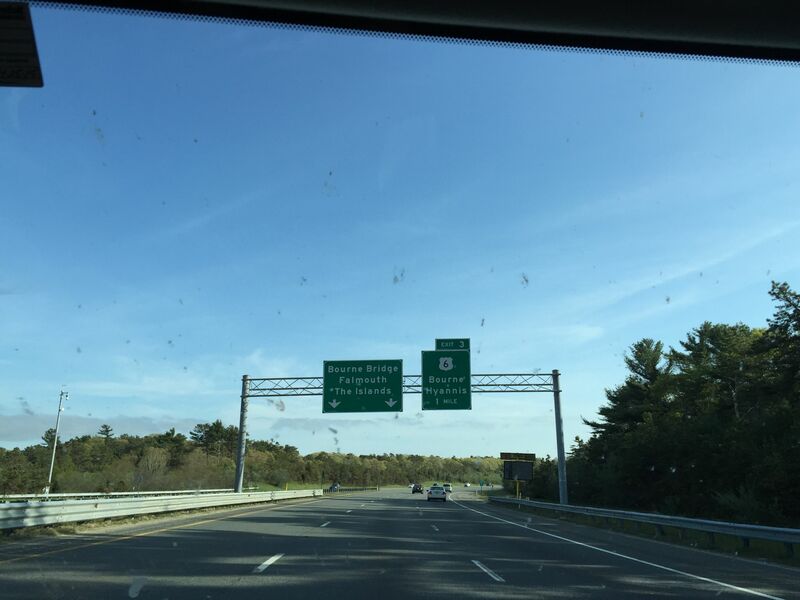 I remember feeling disappointed when the character of the final stretch of highway (I-495 and MA 25) changed around ten years ago with a switch from side of the road to overhead signs, making it seem to me less like a rural route and more like a standard American highway or freeway. There was also a time when I was a vocal pre-teen passenger and encouraged my parents to vary the route since this stretch of road seemed too boring and repetitive to me, so we’d go via Providence RI and then loop back to it, or join the road at a slightly northern point of the usual onramp in Raynham. 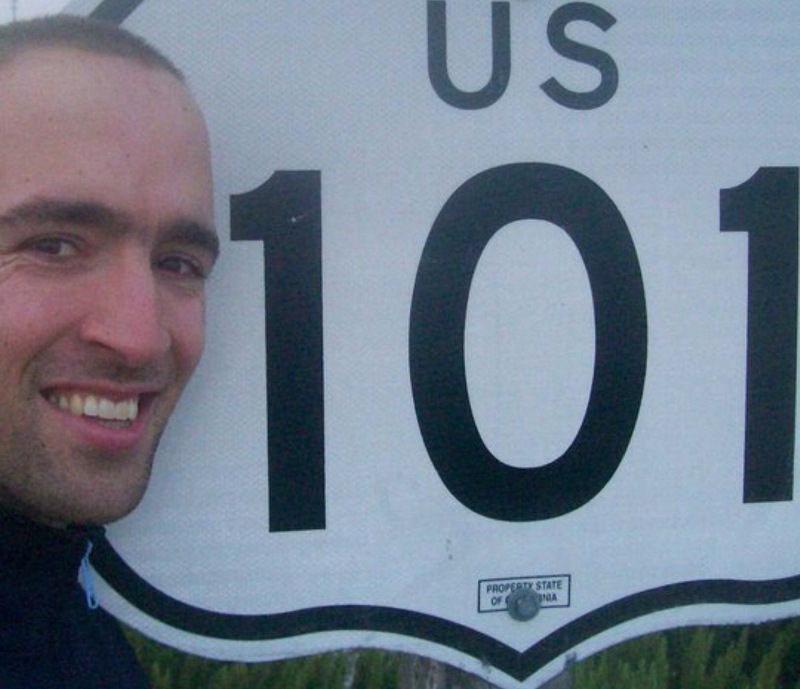 But in the present day, with my not based in Massachusetts life, traveling along the highway – along the whole Boston to Martha’s Vineyard route, really – is the equivalent of an eager mental checklist, and it continues to get me every time. Turned onto Route 24? Yep. Curved turn onto 495? Yep. This week has seen a sudden return to my “old habits” of geeking out about road related matters, specifically road signs. I’d love to know when and where this attraction originated… but it’s been a fascination as long as I can remember, most notably with a long-running childhood project of drawing exit signs. In this regard it’s exciting to live in Michigan, with its oh-so-slightly different standards of signage to the rest of the US – if anything, more close to European standards than you find elsewhere in this country. 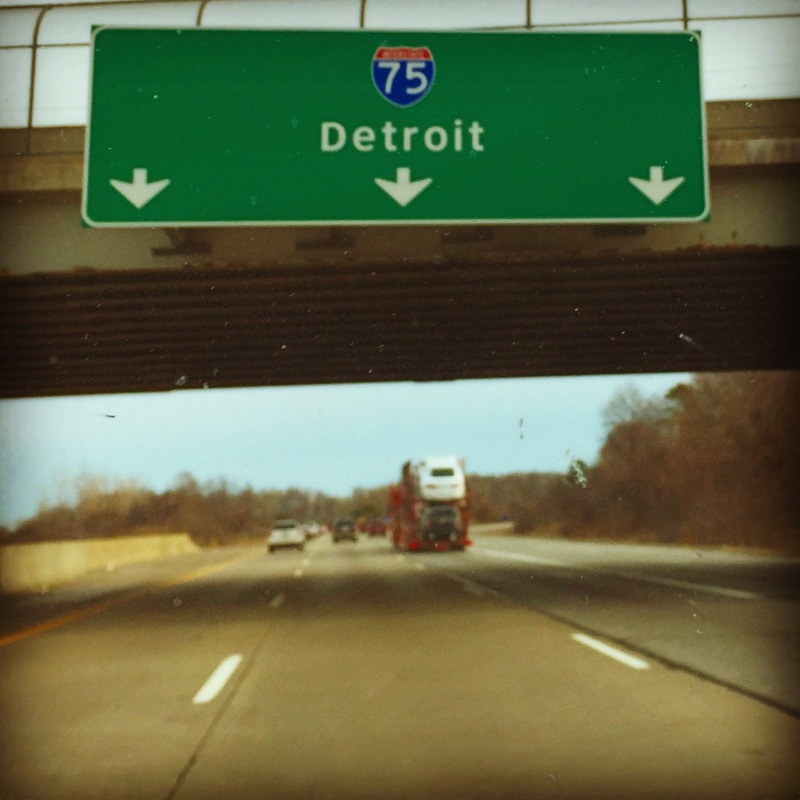 Some examples of this include the angular directional signs that are sometimes seen on highways going in different directions (one good example being here on the way into Ann Arbor) and a general penchant for smaller, angular signs that say what they need to say in a more compact orientation than one might find in another state. Finally, those same signs often don’t indicate the cardinal direction of the route, as I memorably captured in the photo below at an earlier point this year. BUT, all of this interest in signs somehow generated itself from growing up in Massachusetts, which has its own infamous system of highways that were designed one way and then went another, courtesy of the freeway revolts of the 1970’s and a (rightly) growing sentiment that the region shouldn’t be decimated by a ring of urban highways tearing apart neighborhoods. 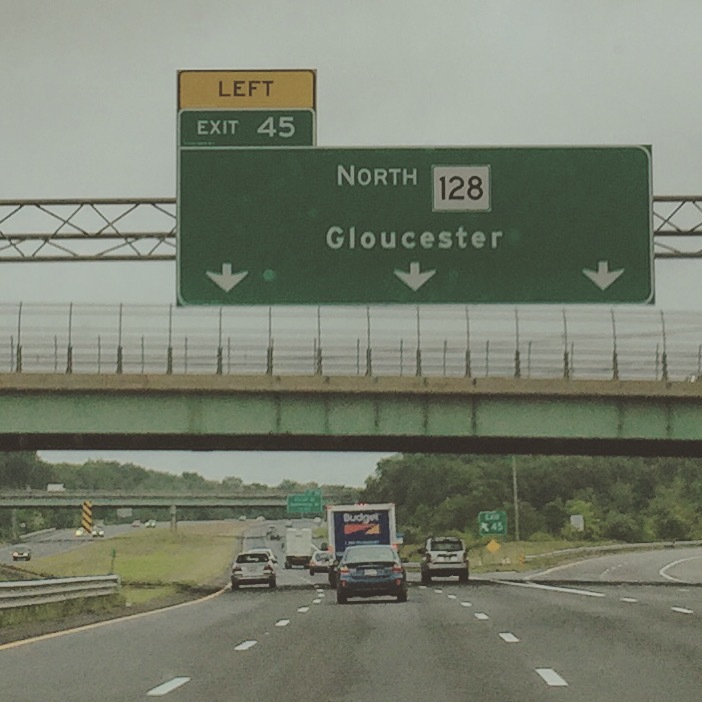 So this renewed fascination has taken me onto a few highway forums, most notably this one, from which I learned that Massachusetts plans to belatedly convert all of its highway exits to mile-marker based, as opposed to sequential, over the next year or so. I feel like there should be more to say about my home state catching up to the rest of the country in this regard. But … it’s all well and good. And I’ll believe it when I see it.